Find hotel near Museo Marceliano Santa Ma ..
Museo Marceliano Santa Maria is a museum dedicated to showcase Spain’s one of the most well-known painters, Marceliano Santa Maria whom the museum is named after. The painting of the Battle of Las Navas de Tolosa – This painting that depicts the battle of Las Navas de Tolosa, is called the ‘Triumph of the Cross’. It historically won an award when it was presented in Universal exhibition of Chicago in 1933. The famous landscape paintings done by Marceliano Santa Maria are present in this private museum. Although this art center is dedicated to Santa Maria, many art exhibitions are held in the museum. 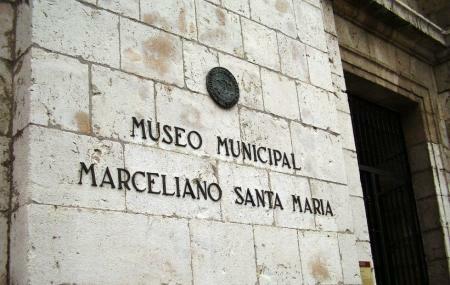 The museum is also known as the Museum of Santa Maria. How popular is Museo Marceliano Santa Maria? People normally club together Cuevas De Coculina and Casa Del Cordon while planning their visit to Museo Marceliano Santa Maria.